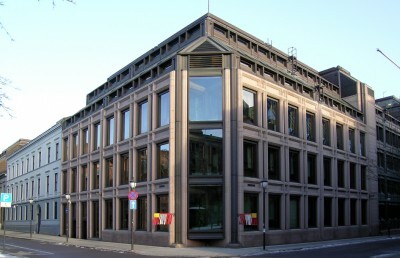 The Norwegian central bank, Norges Bank, has decided to hold interest rates at 2.25 percent in light of continuing global economic uncertainty, despite having originally planned further rises this autumn. Interests rates were raised to 2.25 percent on 12 May and the bank’s plans had predicted further rises at the end of 2011. Meanwhile, the Oslo Stock Exchange fell once again on Wednesday despite yesterday’s mini-revival, dropping 1.08 points to 344.28 amidst falling oil prices and rumours of the downgrading of France’s credit rating. The head of the central bank, Øystein Olsen, told a press conference quoted in newspaper Aftenposten that the “the decision on interest rates must especially be seen in the background of increasing unrest in the finance markets in recent times and clear signals of weaker growth internationally.” Nonetheless, Olsen confirmed that “the Norwegian economy looks to develop roughly as predicted,” with household demand “roughly as expected” and unemployment “stabile.” Although these would usually lead to increasing interest rates, Olsen stressed that “a collective assessment” had been made to hold rates steady with consideration to the global context, the fact that inflation has remained low and the current strength of the kroner. Olsen told Norwegian Broadcasting (NRK) that the decision by the American Federal Reserve Chairman Ben Bernanke to keep interest rates in the USA low had helped confirm Norges Bank‘s own evaluation. Although many economists predicted Norges Bank‘s decision, Kari Due-Andresen of Handelsbanken – who worked until recently for Norges Bank on the economic modelling that forms the basis of interest rates decisions – told Aftenposten that “we did not think they would look so gloomily on the situation this time,” noting that the last time they changed their plans in such away was during the 2008 financial crisis. She believes that the central bank will have caused “increased uncertainty around their interest rates decisions” by changing course, although kroner markets have not reacted to the announcement. Many observers are still predicting that loan rates and mortgage rates could increase despite the unaltered interest rates. This is because money market rates have independently risen. Nordea‘s Juel told Aftenposten that he believes the rates will rise over the next few years. Some also believe that low inflation may necessitate that interest rates go down in the future, rather than up. The next meeting of Norges Bank to discuss changing interest rates is scheduled for 21 September.